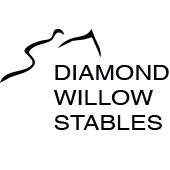 Diamond Willow is open daily from 7:30am to 9:30pm, 365 days a year. We are conveniently located between Cochrane and the Trans Canada Highway off of Highway 22 on the West Side of the road. A short drive from Calgary. We offer indoor fun shows and outdoor schooling shows and clinics on a regular basis. 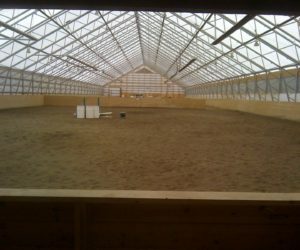 Being a secure and exclusive equestrian facility, the beautiful farm has large indoor and outdoor riding spaces, hacking trails, individual and group turnout, large shelters, and so much more. The quiet and scenic farm offers a serene and peaceful escape from the hectic city life. Get the latest information about our events, programs, camps, sales horses. We are a hunter, jumper, show barn & training facility with a popular school horse riding academy with summer camps. © Diamond Willow Stables. All Rights Reserved.